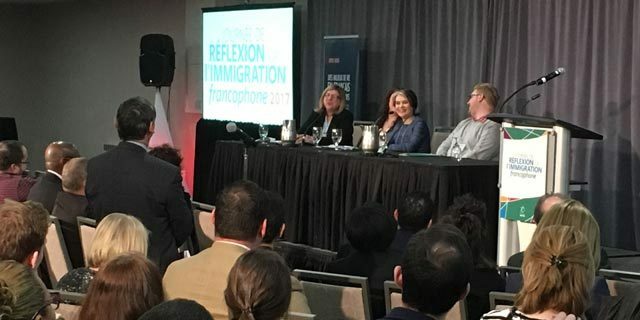 A gathering in Moncton, NB on March 30, 2017 with over 200 people across Canada discussed challenges of francophone immigration. With strategic targeting focused by statistical analyses, many organizations, including Canadian embassies, are partnering with companies from many sectors when recruiting immigrants. French speaking job opportunities and post-secondary education institutions help attract potential immigrants, as social media puts a friendly warm face to places and people in Canada. The Rural Development Institute (RDI) had the privilege of speaking about findings from research on settlement agencies’ challenges and capacities.